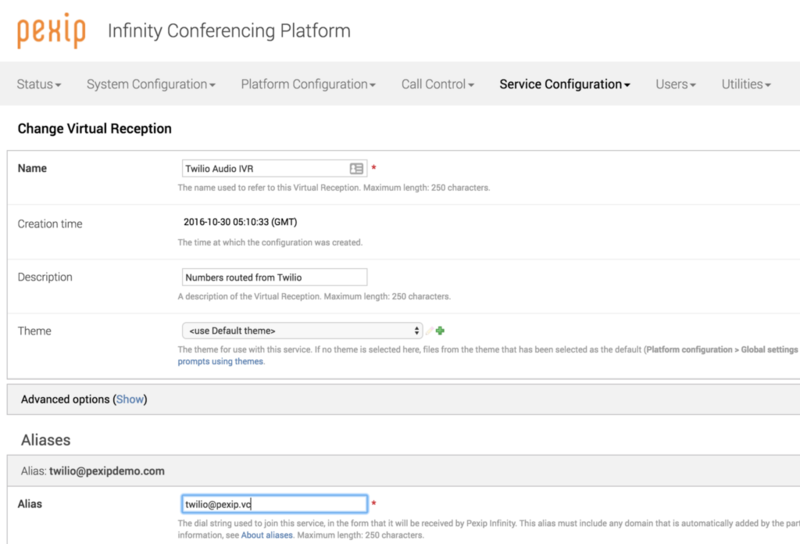 So you have your Pexip Infinity platform and you need to have audio calls into the platform as you cannot always can you dial in over video, so you default back to the good the telephone. Well you can very simply. Some options include using a SIP trunk from your current platform such as Mitel, Cisco, Avaya and delivery SIP telephony from there. However, as more people are selecting cloud for connectivity, why not get a direct SIP trunk. Head over to http://www.twilio.com and sign up for an account. You can sign up free of charge for testing. 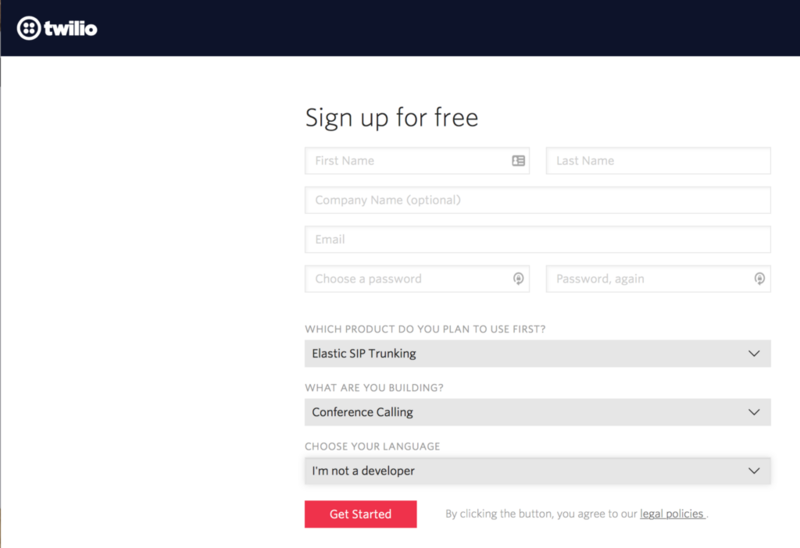 When signing up, you will want to select Elastic SIP Trunking. What you are building is irrelevant and the language you are developing in, is also irrelevant. First off we need to create a Trunk, so head to SIP > Trunks and click on the + icon to add a new one. Give it a friendly name so you know where you will be using the trunk. Next up, we need to say where we are going to point the SIP trunk too. In some cases you may point it at an SBC, but you actually have the ability to point the trunk directly to Pexip. In my case, I was to enable my Pexip platform to have an audio dial in number for the Virtual Receptionist (IVR) so you can use it as a lobby and gain access to any virtual meeting room. You could also use this for giving people DDI/DID to their virtual meeting rooms. 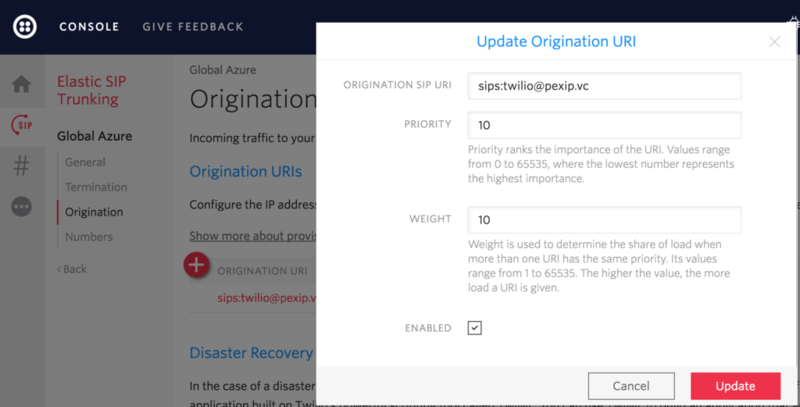 Make sure you prefix the SIP URI with sips: and then the alias you want to point it to. 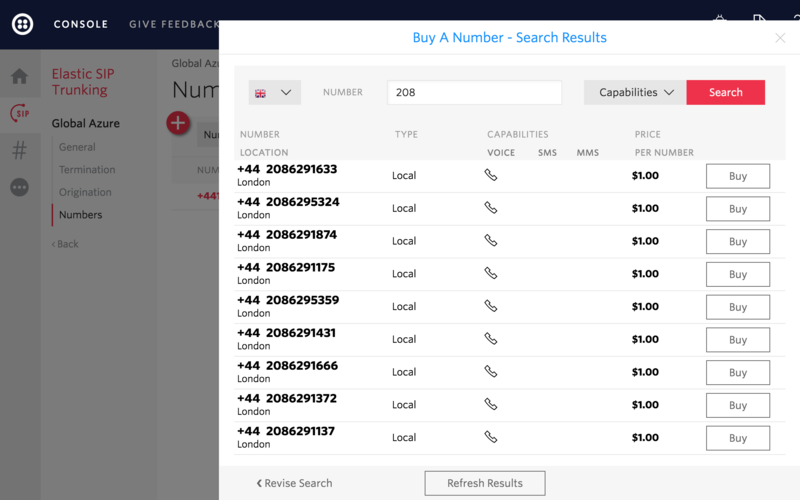 Now we can select a phone number that you want to send down the SIP URI. You can select your country and then region. In my example below I am looking for a London number. The cost is $1.00 but this is included in the free trial. In some countries you need to provide an office address to get a local in country phone numbers. That’s it. All the config is done in Twilio. Now head to your Pexip Management Node to setup the Virtual Receptionist. In the Pexip Management node, head to Service Configuration > Virtual Reception and either Add or Edit an existing entry. In my example below, I’ve added in the same URI that I applied in Twilio portal. Click on Save and wait one minute for changes to replicate. Now grab your phone and dial the number. You should hear the IVR asking you to enter the conference ID you want to join. You can add a numerical alias to a virtual meeting room, so users can dial into this over audio. You can head to SIP > Logs > Calls to see any activity or errors when trying to connect. Just make sure your _sips._tcp record is correct otherwise you will have odd errors.